There is a war raging around us—in society, in our churches, and in our homes. It is not merely a battle over cultural issues like marriage, race, or the sexual revolution. Rather, it is a spiritual battle for the truth. Is God real? Does He speak? And if so, how would we know? Truth For Life is offering an incredible resource this month that provides clarity and encouragement in the face of uncertainty. The God Who Speaks: Tracing the Evidence of Biblical Authority is a 90-minute masterpiece documentary that explores the true history, character, and efficacy of the Bible, the written Word of God. Throughout the film, contributions from biblical scholars and teachers, including Alistair Begg, answer common objections about the Bible’s authorship and reliability. With these truths in view, The God Who Speaks affirms that Christianity is a logical, rock-solid, living faith and encourages believers to hold up Scripture as a shield against the darts of doubt. Our faith, though often under fire, is founded upon unshakable, life-altering truths. Because it takes an intellectually powerful, spiritually compelling look at God’s revelation in light of Christ’s fulfillment, The God Who Speaks (from American Family Studios, a division of the American Family Association) is a must-watch. We’re surrounded by so many seeking to know truth. The God Who Speaks shines an important light into the darkness of confusion. Purchase this important resource and watch it with someone today. 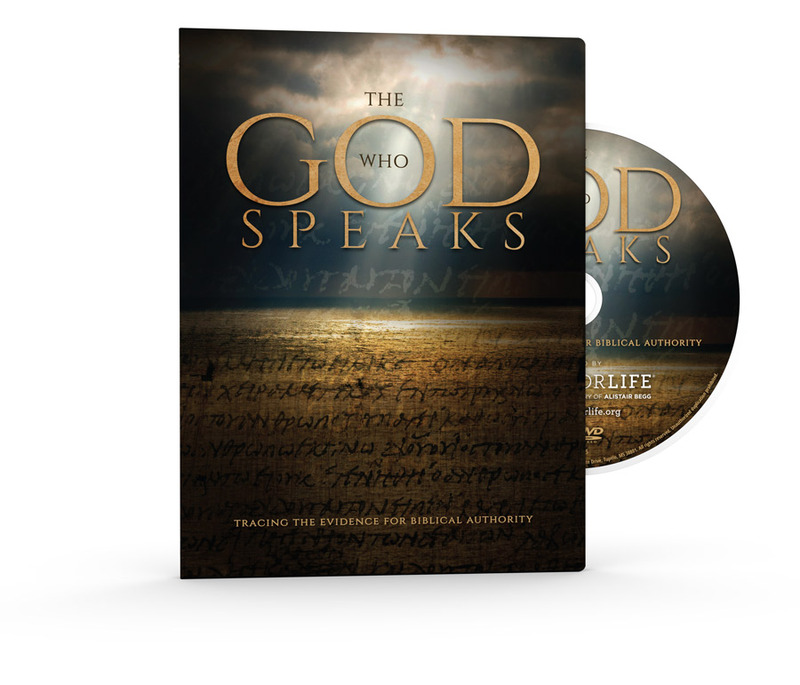 Purchase the DVD "The God Who Speaks"